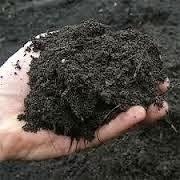 The United Nations declared 2015 as the International Year of Soils and the California Compost Coalition has launched a healthy soils campaign to help spread the word. Residential gardeners can institute their own healthy soils efforts by enhancing their garden soil now in preparation for the spring planting season, according to Bill Camarillo, CEO of Agromin, an Oxnard-based manufacturer of earth-friendly compost products made from organic material collected from more than 50 California cities. "One of the goals of the UN's efforts is to advocate sustainable soil management," says Camarillo. "Soil that isn't regularly replenished with new organic material can easily be stripped of the nutrients needed for strong plant growth. That's true for soil on farmland as well as in backyards." To find out if your soil is ready for spring, Camarillo suggests gardeners check soil for nutrient content. Do-it-yourself soil tester kits are available at local nurseries. "These kits test the pH level--telling whether your soil is balanced, alkaline or acidic," says Camarillo. "If the soil is too alkaline or acidic, it may prevent a plant's ability to properly draw nutrients from the soil. If your soil is out of balance, make sure to add a soil amendment that brings pH levels to proper levels." Gardeners can also determine if their soil is clay or sandy. Clay soil is clumpy, sticky when wet and nonporous. "Look for soil amendments specifically designed for clay soils," says Camarillo. "Mix the amendment with existing soil until the clay soil loosens and is workable. This will enable moisture to penetrate to the roots." For sandy soil, amendments with organic humus are recommended, says Camarillo. The humus gives the sandy soil the structure needed to prevent soil erosion. "Planting season is just about here," says Camarillo. "Healthy, nutrient-rich soil gives your flower and vegetable plants the jump start they need for spring."